Sometimes it’s nice to just get out of town for a couple of hours – to be independent from the urban grid, listening to Sugar Ray or Chicago, checking out some new terrain. 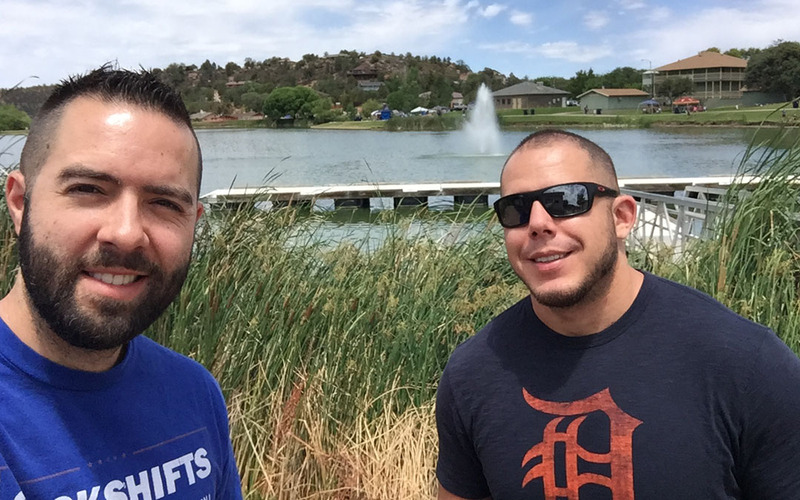 That’s why on Independence Day, my friend Jack and I hopped into our Acura hatchbacks and headed for the hills. 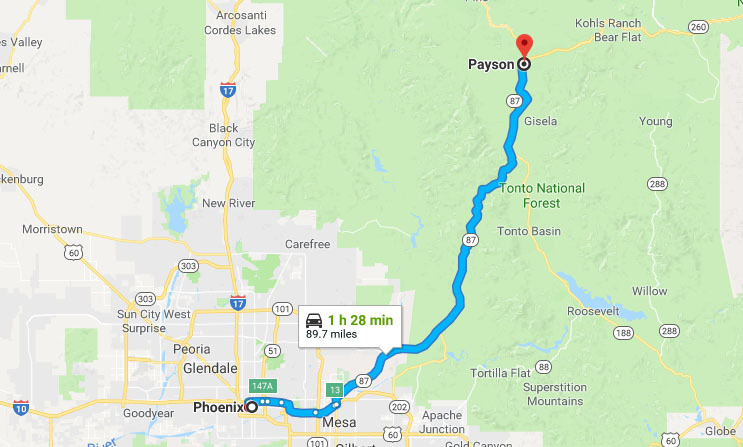 The small town of Payson is only about 90 minutes away, yet it affords temperatures around 20 degrees cooler than the Phoenix metro area. 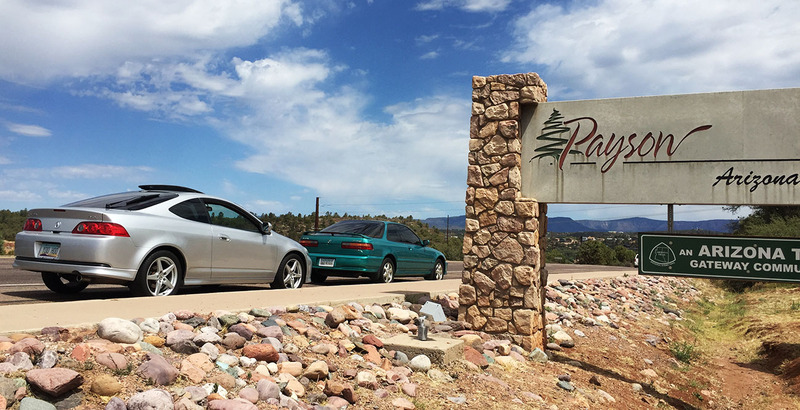 Jack’s 2006 RSX took the lead for most of the drive, and I followed him in the Integra GS-R. We went “non-chain” with our dining selection and seated ourselves at the bar at Pinon Cafe, which has called Payson home for the last 45 years. 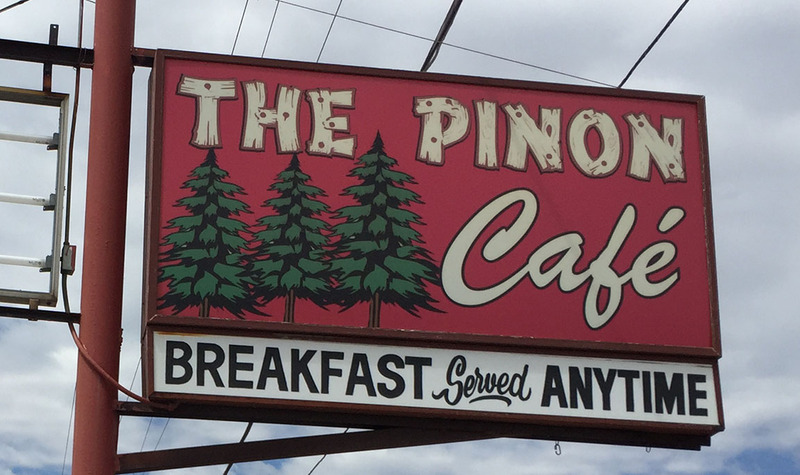 It was a little early to be ordering from the lunch menu, so I grabbed a green chili & cheese omelet, with potatoes and wheat toast on the side. Everything hit the spot. Payson was bustling with residents preparing for their 4th of July festivities. We stopped by a nearby park on Main Street and they were setting up for the fireworks launch later in the evening. Would have been nice to stick around and check out the display, but we hit the road and headed back home. Every once in a while I get to share with you some exceptional cars. Here’s one I think you’ll enjoy seeing. 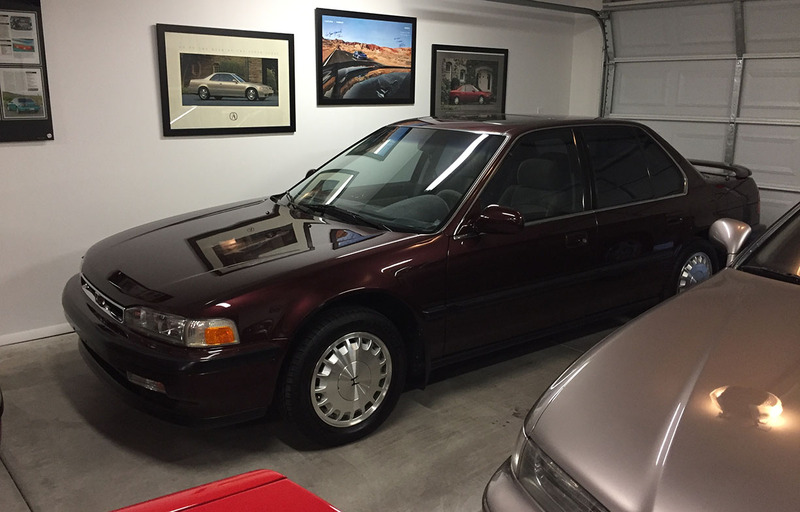 In a recent blog post, I talked about a burgundy (Mulberry, actually) 1990 Honda Accord EX that my friend Jeff was entertaining the idea of selling. Jeff has decided to keep the car for the time being, but needs a place to store it, so it will be residing in my garage. He brought the car over earlier in the week. 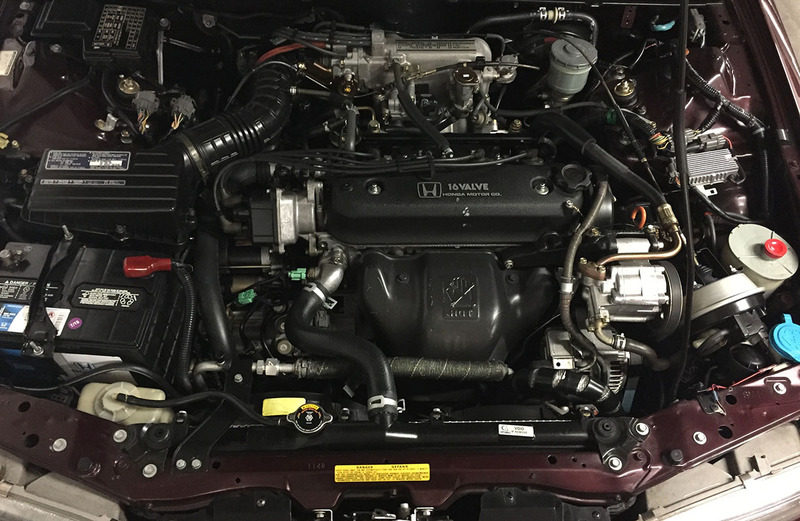 This car is something truly special: The first model year for the fourth-generation “CB7” chassis Accord, this 1990 EX was purchased new by Jeff’s mother on September 5, 1990 with 18 miles on it from Scottsdale Honda for around $19,000 out the door. 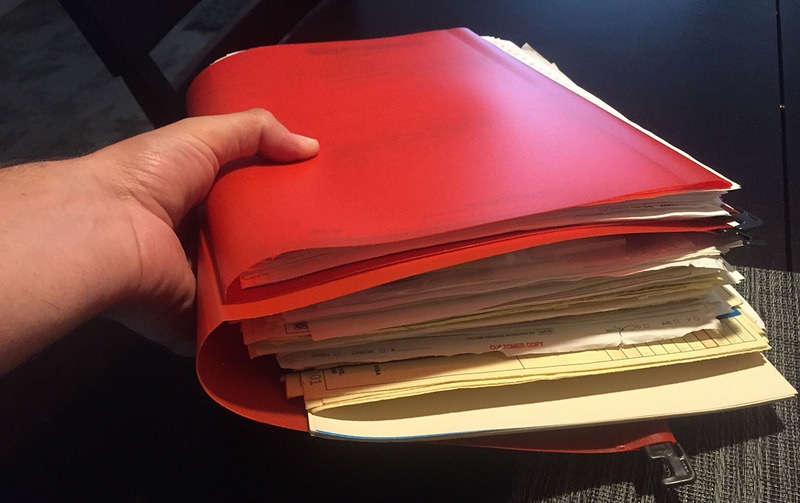 Over the next 28 years, she cared for it to an incredible extent – literally, spending over $28,000 maintaining it on spare-no-expense dealership services. Let’s put that into context: My 2013 ILX turned over 200,000 miles a little over a year ago. Total spent on maintenance from new to 200,000? $7,169. So this Accord has had 4 times that amount spent on it, and still has 64,000 miles to go until the same mileage. Spreadsheet excerpt including totals at the bottom. It’s had 8 batteries and 3 timing belts. Unfortunately, Jeff’s mother passed away earlier this year. Her pride and joy Accord has just over 136,000 miles on it. And that’s where we are today, and why Jeff has chosen to allow me to display it on loan in my modest collection for the time being, though it’s deserving of far more. I don’t think I’ve ever seen a car preserved to this extent – even many high end exotic supercars don’t enjoy the pampering this car had. $1,800 alone was spent on periodic details to keep the paint and finishes looking fresh. The car has a dash mat, car cover, steering wheel cover, anything that could possibly be used to preserve its appearance. Enjoy the walkaround video below! This entry was posted on July 7, 2018 at 7:14 am and is filed under Arizona, Integra, Reader's Ride, Road Trip. You can follow any responses to this entry through the RSS 2.0 feed. You can leave a response, or trackback from your own site. SOOO hard to find those accords clean and maintained well let alone that excessively!! I know, pretty crazy. I’m glad there are people like that out in the world! Haha. Makes me feel a little better about being crazy myself. Jeff would be crazy to sell such a clean car, it looks like it’s in as good a condition as it would have been the day it pulled off the showroom floor! So effortlessly smooth on your small jaunt through the neighbourhood too, it’s just such a cool looking car. I’m currently in talks with a dealer selling a 4th generation Prelude. It’s probably not going to end well for the bank account! Oh, I support that! Have always loved the 4G Prelude, especially its futuristic dash layout. Keep me posted on that happens with that! I’ll see you in a couple of weeks! 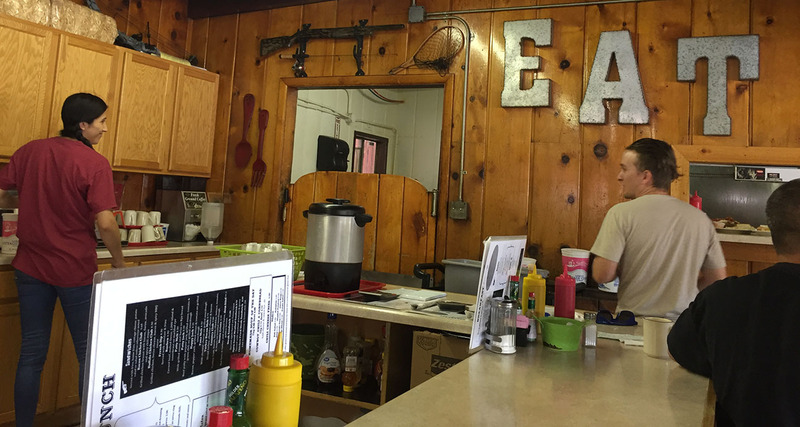 180 miles for an omelet? I totally appreciate this trip! 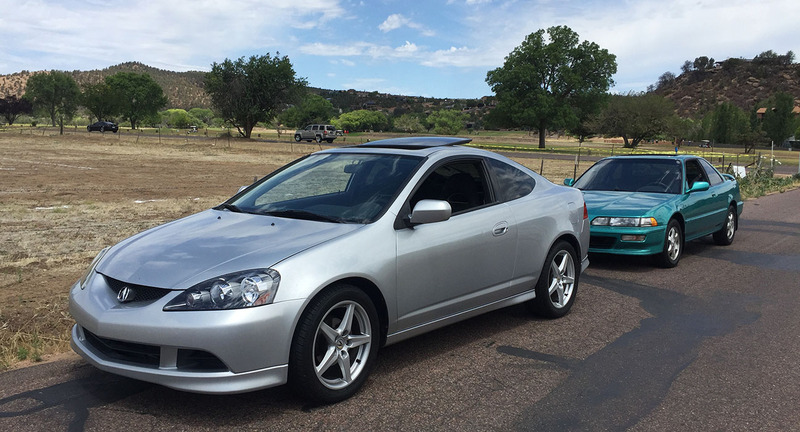 That RSX is in terrific shape- any idea about the mileage on it? It looks clean… as does the GS-R beside it! But let’s get to the meat of thus article- that Accord! All I can say is “Wow!” So much care and attention to detail went into keeping that car in mint condition- I was really blown away. The F22 engine the rest of the bay looked like it had just been through pre-delivery inspection for its new owner at the dealership! The interior was immaculate (loved all the effort that went into protecting it from the sun), and most of all, I was impressed by how well the car drove. I listened carefully as you drove over the speed bump, and nothing clunked or rattled- the car is solidly put together. Equally impressive for a 4th gen is the lack of rust around the wheel arches, and how smooth that automatic shifts (some of the 4th gens I’ve driven tended to be a bit notch). If I were my car and as long as I could afford the upkeep, I’d keep it forever. Very, very cool. I’m glad the video conveyed a little about just how clean that car is. It’s been a CA/AZ car its whole life and not a single bit of rust. 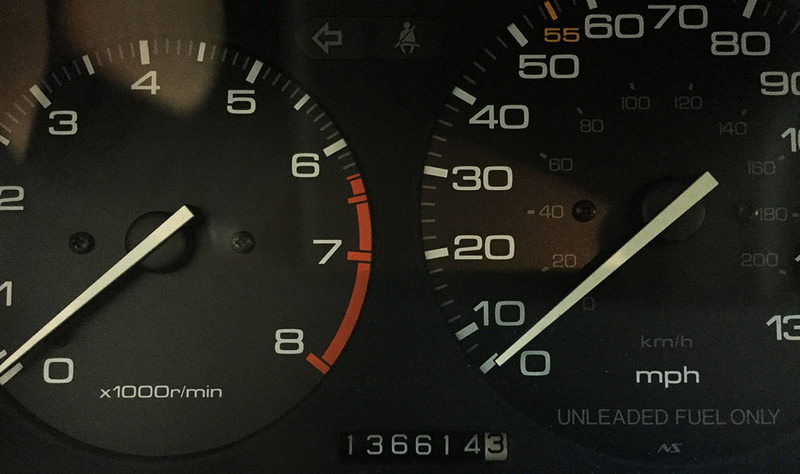 I did notice a slight suspension noise when turning the wheel after switching from Reverse to Drive – maybe a control arm or something along those lines – but still pretty amazing for a car with 136k miles. Hope you had a great 4th, Tim! Tyson, can you check where that 1990 Honda Accord was built? Was it Japan or the USA? Does the VIN number start with a “J” or an “H”? Bet you wish that somewhere out there lies a Legend in similar shape… wouldn’t that be a nice find!? I know! I smell a photoshoot coming on. 93SE + 90EX. And another video featuring both. As for the odds of finding a Legend in that kind of shape, one can only hope! Daaaaang, that Accord looks new. Love it! I’m digging the Mulberry paint, too. I know! Babied and garaged. Like it almost deserves to go back to the selling dealership for them to showcase as “here’s how to treat your new Honda for the next 28 years.” Hope you had a great weekend, Jake! Odd you mention that – Jeff did actually reach out to the Honda Collection Hall in Torrance not long ago and they were initially receptive but the conversation did not go very far. So I guess tucking it away in a garage full of Acuras is the next best thing! I don’t mind looking at it one bit. That is, indeed, a beauty! And treated royally. All the best to Jeff and his family post his mother’s passing. I am a terrible follower – not keeping up with your posts. What a fun day to spend the fourth. A chill morning in Payson. Surprisingly I have also yet to go into the garage and check out that Accord. It’s so pretty. Let’s take it for a spin sometime soon. As posh as a 28 year old midsize can be expected to be!